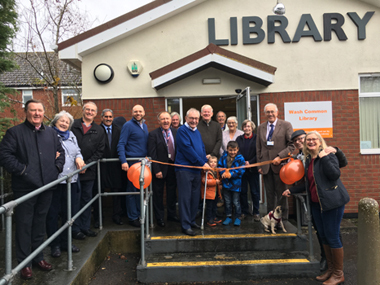 The Friends of Wash Common Library - a charity set up by a group of people from the local community – manage and fund Wash Common Library, following it’s closure by WBDC in March 2017. Wash Common Library has now been re-open for three months, how good it feels to be back in the building and for it to be, being used for the intention it was built! We already have over 100 members, the library is free to join, so if you haven’t done so, come along and say Hello. Our volunteer ‘librarians’ have been busy cataloguing the books, all the fiction books are now on the computer. Hopefully it won’t be long until all the books are on the system and we can be fully automated. We now have two computers with wi-fi for public use, along with a scanner/printer, which can be also be used as a photocopier. So, if you don’t have internet connection at home, this is another good reason to pay us a visit. Wash Common Library is now an independent community library, which would be completely self-funded and run by volunteers. If you would like to get involved please call in to the library and talk to us. Copyright © 2017-2019 Wash Common Library. All Rights Reserved.